Detail oriented, creative, efficient, and fun to work with. I highly recommend the Sirius Web Solutions team for your important Website and digital projects. Sirius Web Solutions took the headaches out of the process of website development. While every business likes and understands the necessity of having a website is great, there are critical tedious tasks that Sirius Web Solutions makes as easy as 1-2-3. Thank you! Sirius Web Solutions. President / C.E.O., Community Synergy Group, Inc.
After thoroughly searching for other web designers, I chose Sirius Web Solutions. Sirius Web Solutions is very detailed oriented and is focused on the needs and satisfaction of the client. I was met with patience and great professional insight and advice. I highly recommend and look forward to working with them on future projects. I recently used Sirius Web Solutions to create an e-blast for project I was assigned at work. Sirius Web Solutions was easy to work with, affordable and professional! They were available for consults throughout the process to give advice and answer questions. Our e-blast was sleek and professionally designed. Mostly of all our event was highly attended and successful. Marketing through our e-blast created by Sirius Web Solutions was essential to this success! Sirius Web Solutions is serious about providing High Quality Service at a Reasonable Cost. I have found their services to be Superb!! They work with their client throughout the process to recommend and implement best solutions. They are reliable, customer focused, customer driven and deliver services on time. Reliable, Honest, Professional, and Affordable (with out losing quality) are attributes about Sirius. Highly recommended for all your Web site needs. I don't know how you do it! You provide reliable, excellent, personal service, plus you are extremely patient and kind. You deserve an award!!! I was checking out your site and it is so outstanding to see how many clients you work with, yet you are always attentive, helpful and supportive of my clients projects...and there have been a LOT. 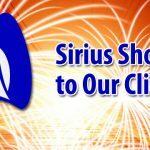 I want you to know I am so grateful for Sirius Web Solutions. Your service is top notch! 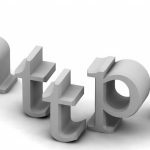 The web service provider I had was over-priced and far too cumbersome to deal with, period. Simple changes within the text of a page felt like applying for the NASA program. And when a hard rain hit, I was down half of the time. All of these issues were a thing of the past when I switched over to Sirius Web Solutions. I bought your ebook and I have found it to be a must-have resource. It's making me crystalize my thoughts and put it in writing...I've attended many seminars re: web site advice and you're at the top when it comes to giving solid advice that actually works.